Growing up I was a huge fan of roller coasters, you could often find me at Magic Mountain riding everything they had to offer. As I have gotten older though I have not enjoyed them as much as I did in my youth. 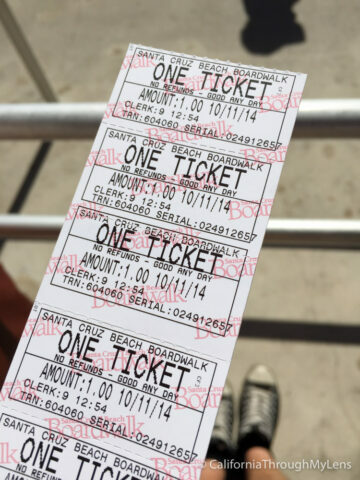 That being said though an old historic wood coaster on the Santa Cruz boardwalk is enough to have me dusting off my roller coaster shoes, buying a ticket and giving it a try. I mean the coaster is a staple of Pacific Coast Highway so you really do owe it to yourself to make it a stop on your coastal roadtrip. 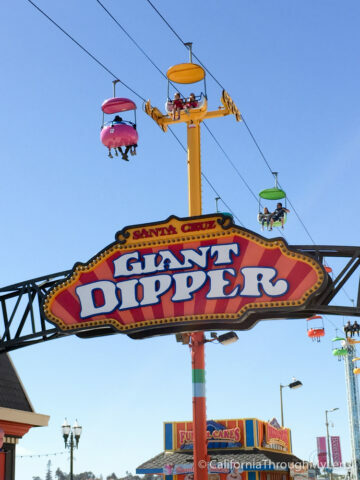 The Giant Dipper is now the fifth oldest coaster in the U.S., continuously operating in its original location. 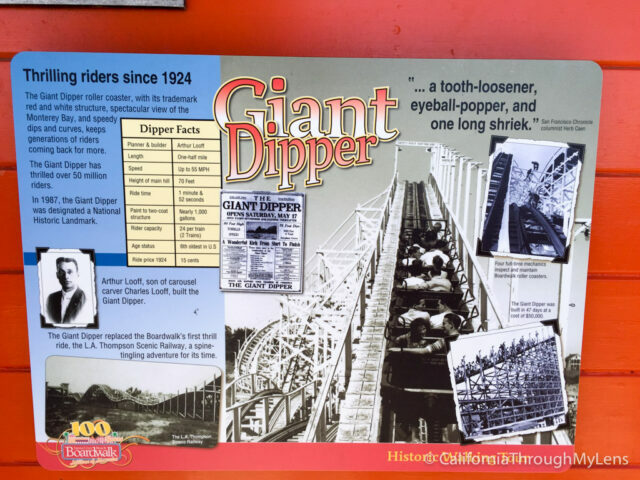 The Giant Dipper was built in just 47 days at a cost of $50,000. Built by Arthur Looff in 1924, Looff’s love of amusement rides may have been hereditary. In 1911, his father, Charles I.D. Looff, delivered a new merry-go-round with hand-carved horses to the Boardwalk. 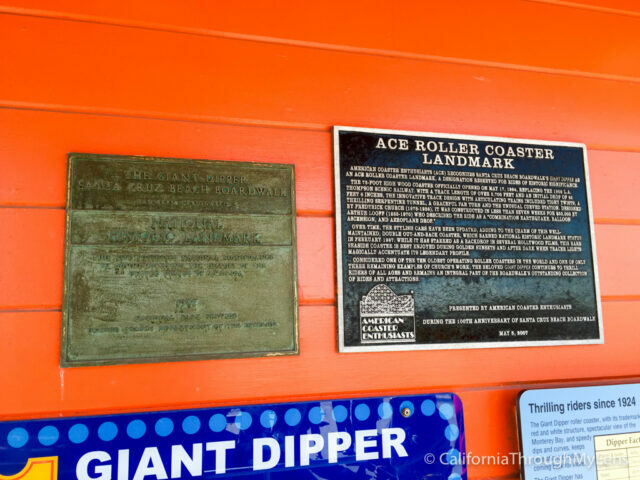 The family’s ride legacies made history in June of 1987 when both the Giant Dipper and the antique carousel were designated National Historic Landmarks by the U.S. National Park Service. 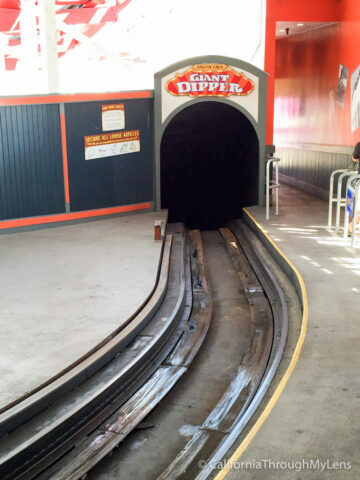 After finding parking near the Giant Dipper, not always easy depending on the time of day, I made my way down the boardwalk with a singular purpose in mind, to ride the famous coaster. I bought myself some tickets a local booth and got in line for my 20 minute wait. As I waited I heard the screams of others enjoying the coaster and got to read the famous signs and stats they have on the wall of the coaster waiting area. Since this spot is so old it even has a National Historic Landmark and a plaque to showcase it. That alone should be enough to make you want to ride it. After entering the waiting area I handed over my tickets and headed up the spiral hall to where you que up for a spot on the coaster. There was a lot of information about the coaster history as well as small tidbits about its height, years in existence, etc. The coaster only takes about 2 minutes so the line moved pretty fast and I was able to secure a space in the very front. Here is a hyperlapse of the entire ride. This coaster is incredibly fun, it throws you around, makes your stomach drop and just all around gives you adrenaline. I would say it is easily worth the $6 even though it is a short ride and most every member of the family should enjoy it. 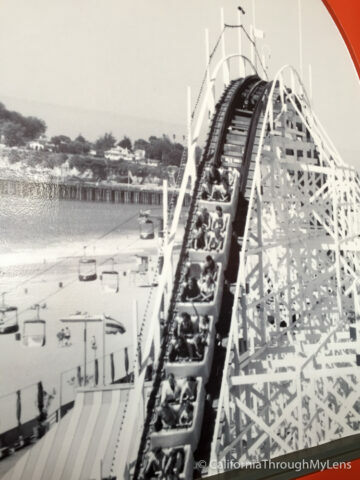 It is a historic coaster and a great way to experience California coastal history on the Santa Cruz Boardwalk, be sure to let me know your thoughts in the comments.